SFV-CAMFT - Special Shared Event - "Theatre of the Mind"
Special Shared Event - "Theatre of the Mind"
"Sold Out! Thank you for supporting the arts and mental health!" Please join us for an exciting evening of theater, music, and dance—all with one thing in common: the journey toward psychological healing and growth. 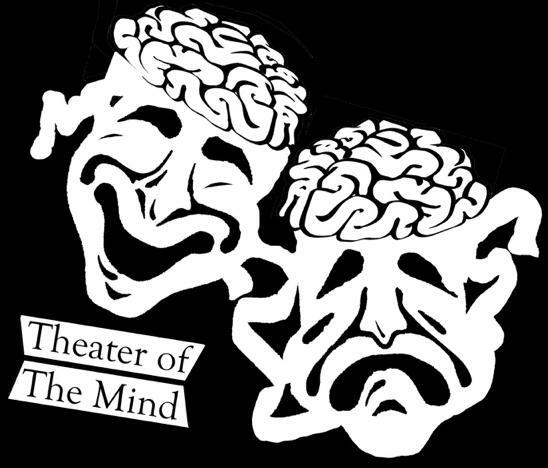 Theater of the Mind will engage your senses as you are taken through a carefully-curated show full of creative expression in an intimate theater setting. Including everything from dynamic dance performances to thought-provoking dramatic pieces, you don’t want to miss out. An actor for the first 30 years of her professional career will perform a 10-minute excerpt from an original/adapted work created specifically for Theater of the Mind. A dance inspired by the incredible love, loneliness, and vacillating hope and despair of colleagues, students, and patients who parent, assist, or live with autistic family members. The complex layers of self-regulation by both a caregiver and an individual with autism are often manifested in an array of non-verbal gestures. When these inner worlds of experience collide they reveal the dreams and fears silently carried in the background of their interactions. Writing educational and therapeutic songs and using them to help kids, teens, parents and human service professionals, requires a sense of humor, and the ability to see the dear, bittersweet, stumbling human dance we all do together here on our planet. Come have some fun and support a great cause (to raise awareness about the importance of psychological and emotional health) while you're at it!